John Gaar was born and raised in the midst of the magical music melting pot of Louisiana. He picked up the guitar at 13 and was playing gigs in small-town, smoke-filled bars by the time he was 16. From that point on it became all about the music and how it made him feel – and how he could make others feel deep into their souls through his own singing and playing. It was at 18 he had the choice to go on the road with a band, or go to college on a music scholarship — John chose the road and hasn’t looked back! In 1981 John’s first real taste of R&B, Soul, Southern Roots, Americana, Blues, and Zydeco music was a two-year stint with his brother, Red Hot recording artist, Burton Gaar, with Zydeco-musician, Rockin’ Sydney – best known for his grammy-award winning hit crossover song, “My Toot Toot.” John then next toured throughout the South with two bands, one a seven-piece R&B horn band, and the other a New Orleans groove band. Then he landed a gig with Miss Molly and the Passions, a ballsy, foul-mouthed, bull-whip-toting band from Lake Charles, LA, that was voted Houston’s No. 1 Band — three years running. After three years with the Passions, John’s circumstances forced him to move to the Bay Area in Northern California where he had to deal with culture shock, a deference of musical attitudes, and no money — so he played every gig he could get his hands on. After four years it was time to re-up on his “Southernness”, so John moved back to the South and headed to Tulsa, then to Nashville, and then finally back to Louisiana, where he landed a gig with Blind Pig recording artist, Chubby Carrier and the Bayou Swamp Band, a rockin’ Zydeco Blues band. John toured the US and Europe 300 dates a year for the next four years with Carrier. Then John decided to “get off the bus and stay awhile,” by going back to the Bay Area to play, put his own band together, record his own songs and have a lot of fun doing what he loves! After much success with his own band, including being selected for the Monterey Blues Festival after the band was just 5 months old, John decided to pick up and move to Austin, Texas to further his career goals in the land that he loves — the South! In Austin, first up was recording and touring his acclaimed “Bittersweet Success” debut album that introduced his sound to the world. His next release “Brighter Side of Maybe” has brought his style to new heights — and has rewarded him with countless opportunities, including magazine covers, tv performances, radio interviews, opening for Jonny Lang, the Doobie Brothers, Marshall Tucker Band, playing at the House of Blues, Austin City Limits, and a highly sought after residency gig every weekend for 7 years at the legendary Saxon Pub, and more! FALL 2018 brings the highly anticipated new release “Roll Like That” album, which will launch with the World Premiere of his video of the same title, filmed on location in Austin, TX. John has emerged from his journey so far to find that doing his own thang is and was the right thing to do! 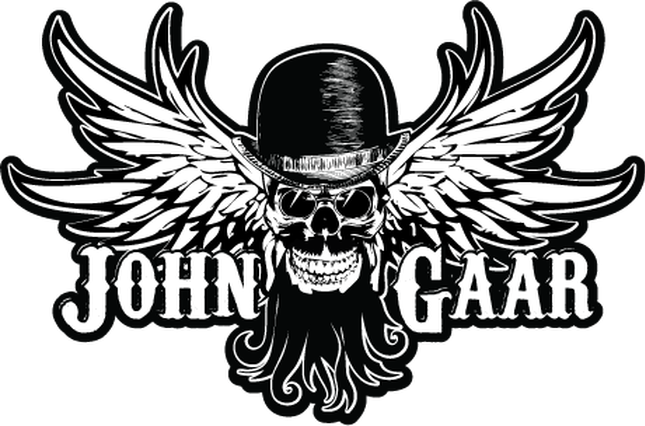 From his incredibly soulful guitar playing to his unmistakably talented and unique voice to page after page of skillfully penned songs and his southern charm — and you have John Gaar, a true and consummate player and showman.